For our 1st Social in April, we are excited to return to head to chill, mix and mingle at The Artist House in Causeway Bay . 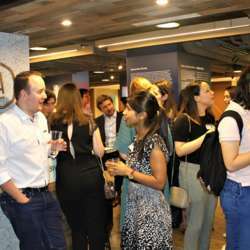 With one welcome drink for all guests, lucky draw and some snacks, come chill-out and meet over hundreds of InterNations members from around the world at this fantastic, Belgian-inspired venue. 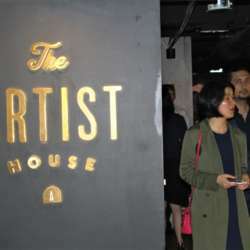 At 3,200 square feet plus a great space in the corridor of Fashion Walk, The Artist House is not a venue - it's a lifestyle hub, and a real institution. It's a laboratory of pure pleasure that infuses incredible craft beers from Belgium with incredible concepts. From growing their own spices, edible flowers and herbs at their hydroponics facility at the venue, or even making your own craft beer with whatever you wish printed on the label. You could also tour The Artist brewery in Belgium with their 3D Virtual Reality tour. They've even developed their own range of edible fragrances with ingredients originated from the aquafarm. Select your favorite aromas and personalize your craft beer! So look forward to an awesome night, and feel free to bring your friends to sample this incredible venue.